Product design consists in creating new designs from inspirations, functions and market objectives (the specifications) so as to reach shapes and other product characteristics that both express a Customer or brand’s image and appeal to a market. The Product Designer studies and anticipates for the complete product life-cycle : production processes, packaging, distribution, consumption and recycling. In doing so, he questions contemporary uses, watches for trends and stretches process innovations to give birth to new designs. 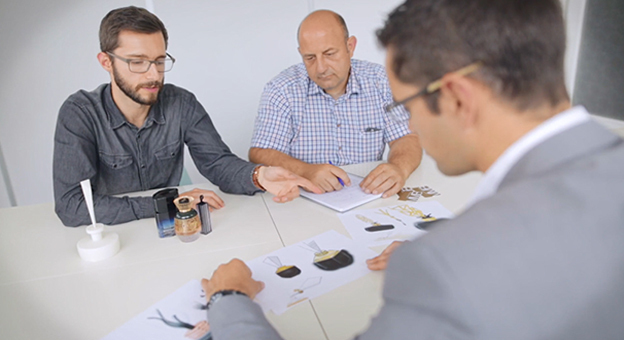 The MMB Product Designers specialize in luxury projects for which there is company-wide expertise, e.g., perfume and cosmetics primary packaging, trophies, point-of-sales décorations and jewelry. 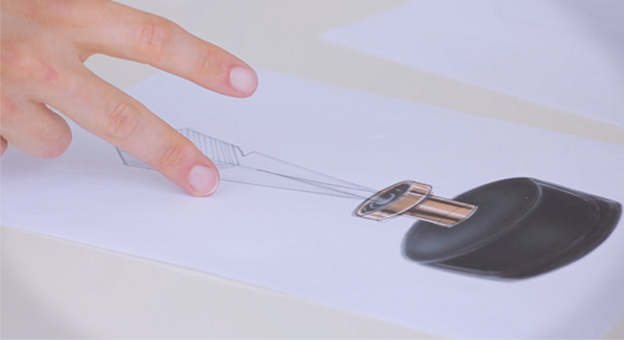 The MMB Product Designers are uniquely close to a diverse and innovation factory. Thus, they can perform tests quickly and receive instant feedback on feasibility concerns. Their service is sped up and more reliable.